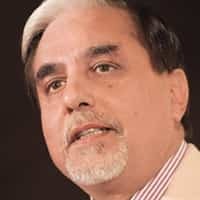 Zee Television, the flagship channel of Zee Entertainment Enterprise Ltd, is sure it will regain its leadership position in the lucrative Hindi mass entertainment broadcast space. So sure, that the channel has already booked space for announcement ads in several newspapers, websites and TV channels, including its own network. “The message will be prominently displayed on hoardings and other outdoor platforms across the Hindi markets in the country," says a senior executive of a media buying house, who did not want to be identified. Zee TV executives decline to confirm the advance ad bookings but say they are hoping to take over the top slot soon. “We started the current year (2007) with a market share of around 10%, whereas, at present, our market share is more than 30%," claims Ashish Kaul, executive vice-president, Essel Group, the umbrella group that houses all the businesses, including media and entertainment, packaging, infrastructure, and education, that promoter Subhash Chandra runs. “The market leader is hardly 9-10 percentage points ahead of us, whereas till a year ago, their market share used to be double ours. We hope to close in on them very soon and reclaim our leadership position in the market." According to September data from TAM Media Research, the Mumbai-based television audience measurement company, Zee TV’s relative market share in the mass entertainment space stood at 31%, compared with Star Plus’ share of 36%. Quoting TAM figures, a Star spokesperson also disputes Zee’s claims of significant gains this year, noting that back in January, their flagship channel’s share was 43% as against Zee TV’s 22%. While Star concedes Zee has indeed made recent progress, company executives refute its leadership claims. “Leadership is measured in terms of reality and market perception. 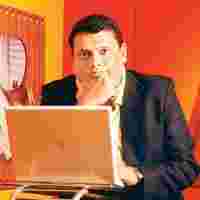 And Zee lags behind us on both counts," said a top executive from the company, who didn’t want to be named. And Star India’s chief operating officer (COO), however, says he isn’t about to debate the leadership issue. Star Plus has been the undisputed market leader in the general entertainment space since 2000. Between 2004 and 2005, it almost accounted for 60% market share. Zee TV’s share during the period hovered around 8-10%. But, starting last year, Zee TV has been consistently garnering marekt share, mostly at the cost of Star Plus. “We have already established our leadership in the 7-9pm slot," claims Kaul. “And on weekends, we are the leader even in the 10-11pm slot. It is the weekdays where we have not been able to displace the No. 1 player permanently in the 10-11pm slot." While some media buyers say that Zee TV has booked ad inventory worth Rs8-10 crore for a new campaign declaring “victory", Kaul says he is unaware of such a campaign. Still, he said, “We might want people to know about our performance and the progress we have made in the past couple of months as and when we achieve the leadership position." To be sure, Star Plus has had a near monopoly in the Top 10 shows across all cable and satellite (C&S) channels combined. However, Zee’s song talent hunt show, Sa Re Ga Ma: Challenge 2007 is currently ruling the popularity charts with a TVR, or television ratings, of 7.21%. Star’s dance talent show Nach Baliye-3 is running close with a TVR of 6.28%. In the top 25 C&S shows, both Zee and Star now have 10 shows each. And in the week ending September, Zee’s daily soap Banoo Main Teri Dulhan beat Star’s popular show Kyunki Saas Bhi Kabhi Bahu Thi with a TVR of 5.62% as against the latter’s 5.51%, according to TAM data. There is much at stake for the networks in these bragging rights. Zee TV’s advertising rates have traditionally been much lower in comparison with those charged by Star Plus. According to media buyers, until two years ago, a prime time 10-second ad slot on Star Plus cost anywhere between Rs1.5 lakh and Rs2 lakh, as against Rs75,000-90,000 on Zee TV. But, they say, the scenario has changed now. Zee TV raised its ad rates twice this year while Star Plus’ rates have generally stayed flat, say some media buyers. “Zee increased its advertising rates twice this year while Star cut it once. Zee is definitely quite aggressive this year," said Shyam Shanker, president, India Media Exchange, the consolidated media negotiation unit of Publicis Group. According to media buyers, a 10-second prime time slot on Star Plus now costs around Rs1.2-1.4 lakh whereas Zee gets around Rs1.10 lakh for Sa Re Ga Ma Pa, its top show at present. They, however, clarify that Star Plus’ other popular shows command higher rates as against Zee TV’s. “While Zee charges between Rs60,000 and Rs70,000 for its popular prime time shows, such as Saath Phere and Kasamh Se, Star charges Rs50,000-60,000 for its less popular shows," said a senior executive of a top media buying house. Zee’s Kaul says he wants to close this gap as well, adding: “We will look at revising the rates when we achieve the leadership position."